Dr. Jeffrey Islas is a recognized general surgeon in Long Beach, California. He received his medical diploma from David Geffen School of Medicine at UCLA in 1987. After getting his medical degree, he did an internship at King Drew Medical Center. Dr. Islaz completed his medical education with a residency in general surgery at Charles R Drew University of Medicine and Science and a residency in general surgery at Cedars-Sinai Medical Center. He is certified by the American Board in surgery. His subspecialty is general surgery. 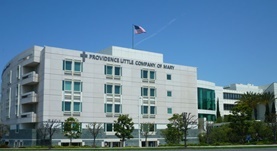 This doctor works at Long Beach Memorial Medical Center, St. Mary Medical Center and Providence Little Company of Mary Medical Center – Torrance.